Since its invention in the year 1912, It has been a wild ride for the psychoactive chemical Methylenedioxymethamphetamine. The substance is also known as MDMA, and is commonly referred to as the street drug ecstasy. Over the years it has been at the forefront of controversy due to media hype, faulty information, and increasing popularity amongst the masses. The chemical itself is not considered dangerous, but circumstances that surround ecstasy can kill people; safety first is the key when consuming it. The reasons behind the initial synthesis of MDMA is a bit of a mystery. It is not clear what it was intended to be used for, but after some time following the creation, medical and psychological professionals in the 1970’s used it limitedly as a therapeutic medicine that was administered to help people deal with trauma, and also was used in relationship counseling. Current studies are blowing doors open for its advancement, and the chemical is in the third phase of testing as a potential pharmaceutical drug for the Food and Drug Administration in America for mental and emotional disorders. Preliminary studies have shown that in connection with psychotherapy, that MDMA can help treat PTSD, and increase feelings of trust and compassion towards others. It is being studied as a chemical component that could potentially heal psychological, and emotional damage caused by war, sexual assault, violent crime, and other traumas. It also is being studied as an anxiety combatant for autistic adults dealing in social settings, and other anxiety related issues. In its design, the chemical has traits similar to stimulating methamphetamines and also to the hallucinogen mescaline, so it unleashes a mild mix of the two. 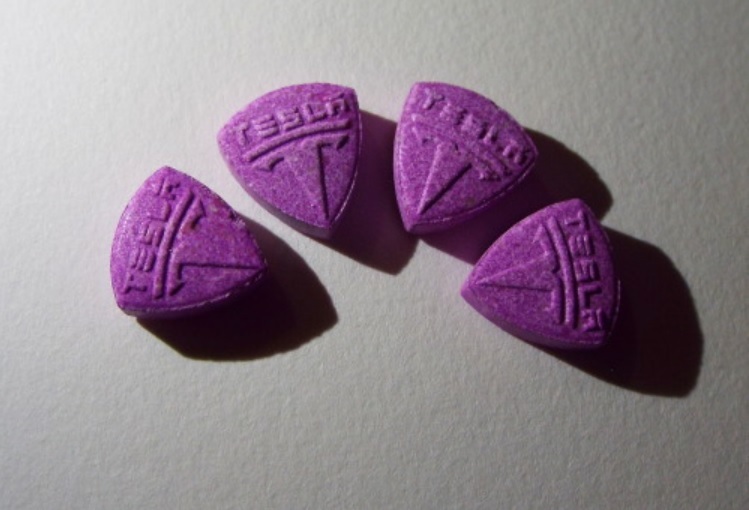 MDMA is a substance that is widely used, and almost never abused. 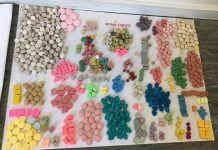 Less than one percent of all drug treatment platforms deal with dependency issues from MDMA users, addiction stemming from it essentially is not an active problem on a worldwide scale. On the street side of things, nothing is as it seems, MDMA included. People buying and selling what they think is MDMA is often something completely different. It is impossible to look at a substance and know for certain what that chemical is, it could be anything. The masses are relying on the people that they get things from to be doing the right thing. They think that since they are buying MDMA, then it must be that; and that is one way that ecstasy related fatalities occur. 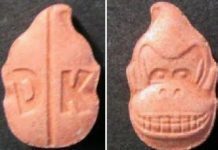 Do it yourself, money hungry people are pressing ecstasy pills that look legit, but that have zero percent MDMA in the pills. They add whatever faulty impairing substances and filling agents that they can get their hands on to form imitations that will make them money, and they do not care about anything else beyond that; human life included. The only way for certain for people to know what substance they actually have is to test it. Test kits are readily available to the public for a small fee, and are simple to use. Another potentially dangerous angle of MDMA is potency. Many “chemists” associated with making ecstasy are unsure of the proper amount to add to the pills. Ecstasy pills might have barely enough for the consumer to feel, or it may have a potentially lethal amount in it. It is very hard to know the difference without measurement devices. A general rule of thumb for people that take MDMA is to take a very small percentage of it, and adjust accordingly. People can always take more, but they can not un-take it after it has been consumed, it is too late at that point. Mixing other chemicals or alcohol is an additional danger associated with MDMA. Chemical and alcohol can wreak havoc on the human body. If people decide to consume it, they should not mix it with anything else. In its purest form, it is not dangerous until other chemicals or alcohol gets involved. Once that happens there is certain risk involved. Other risks and potentially fatal hazards of ecstasy are heat stroke, hypothermia, dehydration, hyponatraemia (water intoxication), and serotonin syndrome. It is important for people to know how to be safe while under the influence of MDMA. People being active should take the steps to hydrate accordingly, without overdoing it. Too little water can start the heat stoke process where their organs can start to shut down, however, too much water also brings its own sets of problems with it. 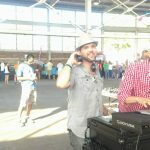 Two cups (500ml) an hour while raving is the medically recomended sweet spot that is needed to walk the line of safety. Serotonin Syndrome is not always fatal, but it certainly can be. When people are experiencing the condition they express signs of agitation, confusion, problems controlling muscles, headaches, uncontrollable shaking, seizures, and loss of consciousness. People should seek immediate medical attention should any of those things arise while under the influence of MDMA. Some reports of fatalities associated with MDMA have stemmed from people that have pre-existing risk factors like high blood pressure or heart conditions. When chemicals and humans are involved, mixing things up is not a good idea in general. If somebody has a condition that requires them to take medication, and they have health problems, then they probably should not roll the dice. Time will tell if the highly scrutinized chemical MDMA will save humanity, or if it will stay on the frontlines of media hypocrisy as an epidemic and something that needs to be stopped. The truth lies in between the lines, waiting to be revealed. For those that encounter ecstasy, hydrate, do not take too much, do not let your bodies overheat, do not drink alcohol with it, do not mix other chemicals with it; but most importantly test it to make sure it is not an imposter. Experiment with chemicals safely only, always, and forever. It is the only way.